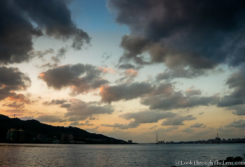 Revisited #6: Tamsui Sunset from 2007 – Look Through The Lens? Will you? The next in the revisited series. This one is from much further back and was actually posted on my old blog way back in 2007. 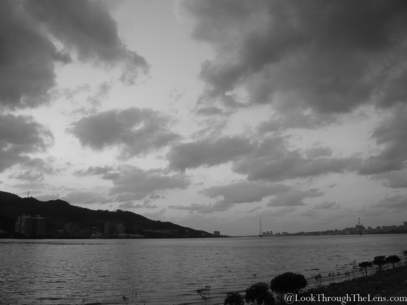 I posted this shot. The crop edges were a thing then, I do apologize! I enjoy revisiting old images to see what I can make of them with my new insights. This one turned out to be more interesting because I was able to play with the Paintbrush tool and add a little orange to the sky to reflect the late time of day. The first and most obvious change from the image was the straightening. I can’t think why I didn’t see that before. Then, of course, I cropped the image to hide more of the shoreline. I’m still debating whether to crop more on the left. I also adjusted the clipping, added a filter then made some minor adjustments before adding brushing all over and updating the toning hue and continuing to brush with a dab of orange. While it probably wasn’t as orange as the sky was, we often see orange sunsets later in the day that can be quite dramatic. It’s not unrealistic. 1/160 sec @ f2.8 on ISO100 shot on a Panasonic Lumix DMC-FX30 in 2007. 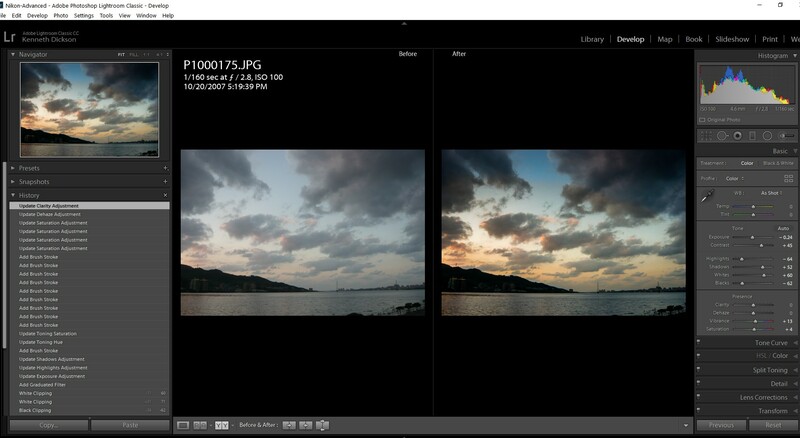 1st Export at 250Kb showed a softer focus, some bleeding and some pixelation. The image was sensibly exposed but saved in JPG format, so some data has been lost. I present the full edit here. Enjoy!